As close as you can possibly get! Enjoy a once in a life time encounter with the peaceful giants of the sea, the Southern Right whale, by going on a fun filled Hermanus whale cruise in South Africa, that will fill you with awe. Undoubtedly the most enjoyable way to fill your mind with knowledge of these majestic mammals is by going on a whale watching boat trip in Hermanus. 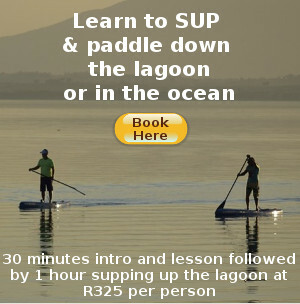 This includes witnessing the whales in Hermanus breaching (jumping out of the water), sailing (keeping its tail out of the water for an extended period), lobtailing (slapping its fins hard and fast on the surface), or spyhopping (raises and holds its head out of the water). No two Hermanus whale cruises are ever the same, years of experience has shown. Not only will you see Southern Right Whales, but possibly also Humpback Whales, Bryde’s Whales, seals, dolphins, and even the cute little African penguin. Sightings of a particular species can unfortunately not be guaranteed, but have a look at the list below of some of the sea creature encountered on a regular basis during a Hermanus whale cruise. The star attraction! Every year, come June to December, Hermanus in South Africa is known as the capital of whale watching for Southern Right Whales, due to the sheer volumes of whales in the area. The whales journey to South Africa, and particularly our sheltered waters in Hermanus, from feeding in the Southern Ocean near the Antarctic, to calve, mate and raise their young till they are ready for the journey back. The adult whales do not feed on anything the entire time while in Hermanus. Humpback Whales can be seen in Hermanus from June to September as they travel towards their breeding grounds in the warmer Indian Ocean of South Africa. Like the humpback dolphin, these whales are named for the hump they have on their backs. They grow between 12m to 16m in length and on average weigh an astounding 40 tons. Their flippers can sometimes be as long as a third of their body length, explaining why they are so acrobatic. Like the Southern Right cousins, they are often seen showing off by breaching out of the water. Bryde’s whales are seen all year long in Hermanus. They are a lot more slender than other whales and even though they reach approximately the same length as the Humpback whales, they don’t often weigh more than 15 tons. Even though Brydes whales are regularly spotted in our waters, it is difficult to get very close to them. They are shy, continuously hunting and do not stay in one place for too long a period. Dolphins can be seen in Hermanus’ Walker Bay all year long. The playful and spirited Common Dolphins live in pods and, much to the delight of spectators, will often follow boats for long periods of time and perform trick for their onlookers. Everyone’s favourite dolphin however is the Bottle-nose Dolphin, being the largest and fastest of all dolphins (the Orca not included) and are often spotted jumping and surfing the waves. Cape Fur Seals, named for their heavy pelt, can also be seen in Hermanus all year long. The male Cape Fur Seal is on average 2,3m in length and weights an impressive 200 to 300kgs. Females are smaller, growing to roughly 1.8m in length and weighing in at 125kgs. The female Cape Fur Seal gives birth only in our summer months and will only birth one pup. While they look very cute, a male seal’s bite can break any bone of a humans body with its powerful jaw! The African Penguin, referred to as the jackass penguin because of the donkey like brey they make while breeding, is relatively small and grows to approximately 60 – 70 cm in height and weighs roughly 2.2 – 3.5 kgs. It spends nearly the entire day looking for fish and squid and are often seen in groups as they huddle together to keep warm. 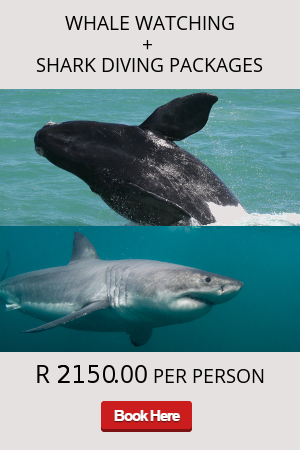 A boat based whale trip will give you the opportunity to enjoy a wide range of marine life in South Africa. "What a fantastic experience! Was spoiled by husband on our anniversary. There were so many whales and we were even fortunate enough to see a few whales breaching - It was truly amazing! Will definitely do it again." "Went a little late in the season and wasn't expecting to see much, but we ended up seeing a whole lot of mothers with their calves. Some were not very shy and even swam right up to us. This was definitely an experience we won't forget. Thank you and we will be back hopefully very soon !!!!!" What are the trip times and how long is the tour? When is the best time of the day to go? The truth be told, there is no best time of the day for whale watching in Hermanus. It’s recommended that people go on a whale watching boat charter in the morning, but that is only because generally speaking, the weather and sea conditions in Hermanus are best at that time. Besides that, the whales activity remains the same all day long. Behavior such as breaching, sailing, lob-tailing or spy-hopping can happen on any day and at any moment. How far into the ocean will we go? Most of the whales are seen between 100 Meters to 300 Meters away from the coast-line. The trip time is on average only 2 hours long, but many people do struggle on days when it is a little windy or if the swell is slightly big. A combination of sea sick tablets (Stugeron) with some anti-spasmodic pills (Buscopan) taken 1 to 2 hours before the trip works wonders. Check with your pharmacist first! What happens if the tour gets cancelled? Due to bad weather, it is not always possible to go out to sea. Heavy rainfall will cause the whale watching trip to get cancelled, as will strong winds and large swell. Please however keep in mind that sea conditions and the weather forecast are constantly monitored, and you will be contacted if it has been decided to cancel your trip due to bad weather or sea conditions. Payment is only taken just before your trip, so if a trip is cancelled then you won’t pay. Even on a hot, sunny day, it is always colder out at sea, so dress warmly. A wind breaker, gloves and ‘beanie’ for the cold days is highly recommended. Sun block, sunglasses, a cap or hat and a camera. Do I need to book ahead of time? The short answer is definitely yes! 99% of the time, if you arrive without a booking, you will not go whale watching. During the peak season, trips are generally fully booked a week ahead of the time, sometimes even 2 weeks before, so book as far in advance as possible. Will I definitely see whales? Only Dory from “Finding Nemo” can speak whale, so no-one is able to call these wild mammals, but it very rarely that whales are not seen between the months of July to November. If no whales are seen at all during your trip, a 50% refund or a free voucher to go again on a future trip is offered. Hermanus is a popular holiday destination, specifically because of its compelling beauty and its warm-summer Mediterranean climate. It is situated on the southern coast of the Western Cape province of South Africa, about 115 kms from Cape Town. It is famous for southern right whale watching during the southern winter and spring and is also a popular retirement town. The whales can sometimes be seen from the cliffs in the town centre as early as June and usually depart in early December, but if you serious about seeing whales then a boat tour is a must. The Old Harbour Museum (pictured in the background) contains several exhibitions that explain the whaling industry. The Whale Museum houses a skeleton of a whale and shows an audio-visual presentation of whales and dolphins twice daily. Visitors and locals do far more than lie on the many golden beaches here. This is prime hiking country, full of fynbos and trails, with over 1474 known species. Whale watching, shark cage diving, kayaking trips, horse trails, golf or simply relaxing and dining at one of the many restaurants is a must do in Hermanus. In terms of weather, December to March are the hottest months in Hermanus, with the least amount of wind. Rainfall takes place mostly during the winter months when the whales are present.